If you are starting here, a big warm welcome – and if you are already hoping in order, you will have arrived from the wonderful Mary who just showed you her beautiful projects using Picture Perfect Birthday. 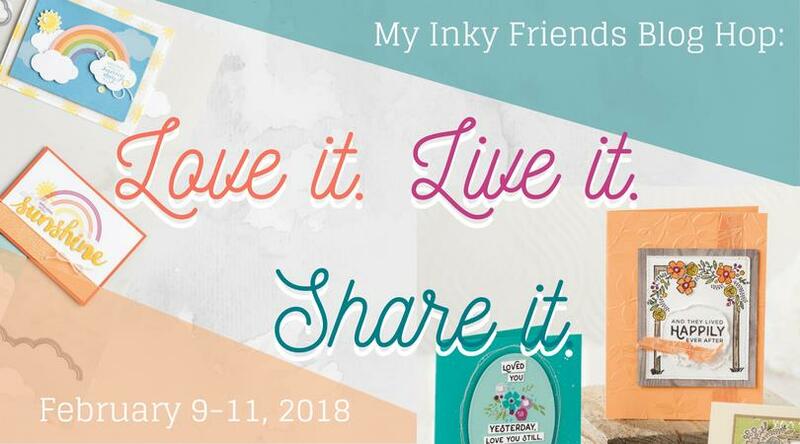 I am showing you some things that I have made using the Picnic with You stamp set and coordinating dies and I absolutely LOVE them because they are so versatile! 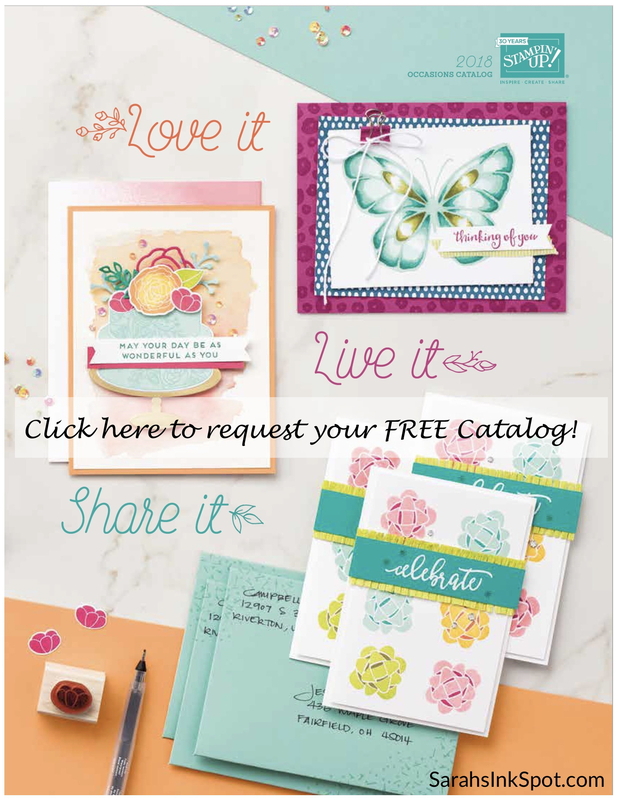 I wanted to show you the beautiful sentiment stamps you get in this set and how you can easily use them as the focal point on your project with the flowers surrounding it. 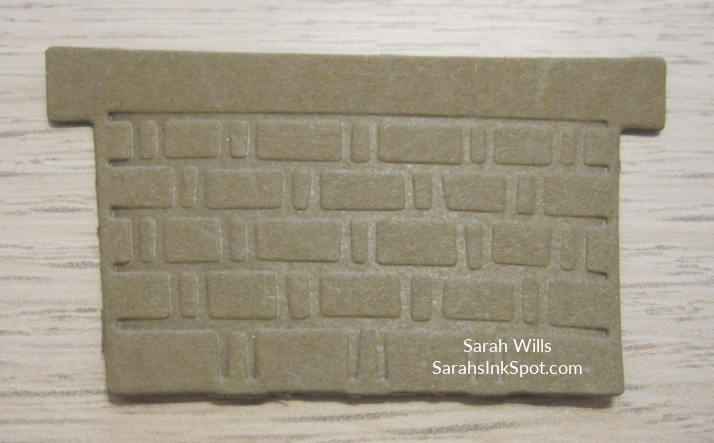 See the embossing on this cute box? 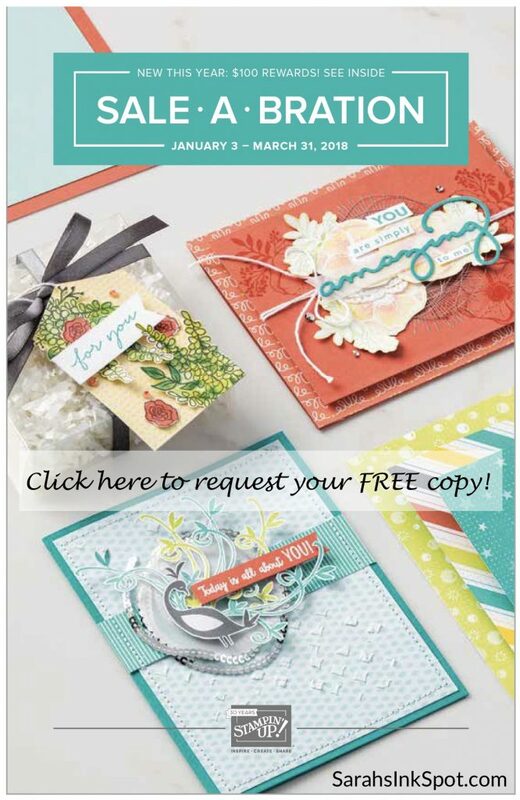 It is a BRAND NEW embossing folder called Basket Weave that you can get for FREE as part of the second phase of Sale-a-bration beginning February 16th! The flowers were stamped and die cut out using coordinating dies from Picnic Basket Builder Framelits making it quick and easy to achieve a look like this. 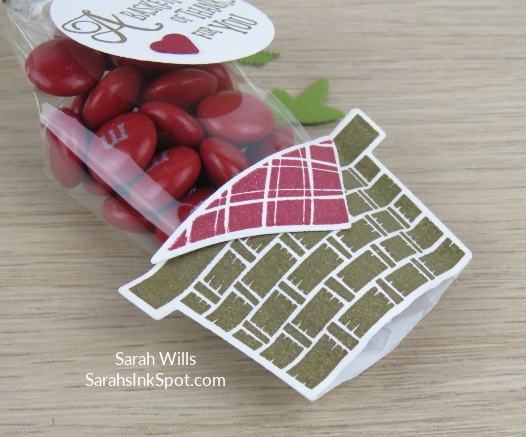 Come back on Monday for full details, the Supply List plus a FREE printable/downloadable Project Sheet showing you exactly how to make this Nugget Treat Box from one sheet of cardstock – it’s so easy! 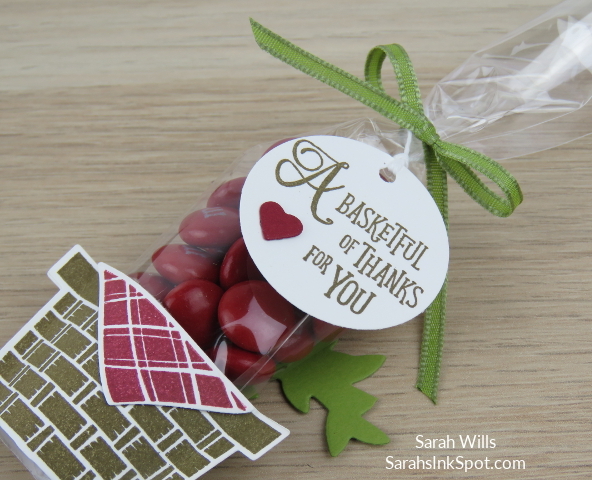 The basket literally holds the tube of candies in place and on this treat you can see another one of the pretty sentiments you get in this stamp set. And to dress it up a bit I stamped the tag using another sentiment stamp from Picnic with You and cut it out with my 1 1/2″ Circle Punch. On Monday I will have full details, the Supply List plus a FREE printable/downloadable Project Sheet showing you exactly how to make this! Did you know you also get a die to texture that basket? You can see it in the bundle picture below but here I have die cut & embossed the basket instead of stamping and then die cutting it – see the cool woven texture it gives that basket – and the best bit? 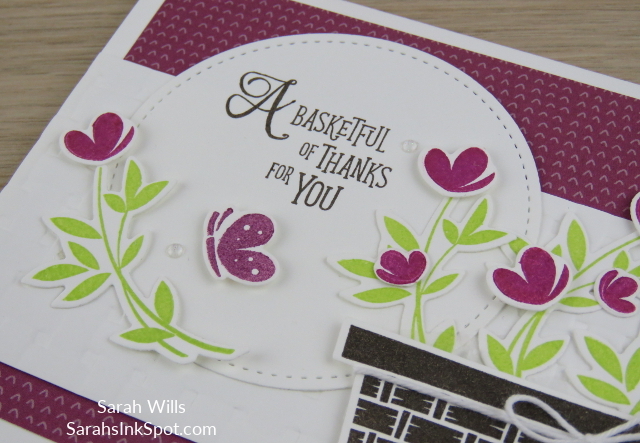 The weave die fits inside the basket die so you cut & emboss it all at once! BUY THEM TOGETHER as the Apron of Love Bundle to save yourself 10%! Find the Bundle in the Supply List at the end of this post. Thanks so much for visiting & enjoy the hop – have a wonderful weekend! MY NEW FEBRUARY HOST CODE IS HERE GIVING YOU UP TO THREE FREE GIFTS FROM ME! CLICK ON THE BUTTON BELOW TO FIND OUT MORE! Beautiful bright and crisp projects, Sarah! You knocked those 3-D’s out of the park!! Great projects, Sarah! I love your nugget box! Both treat holders are super cute! I love how the flowers frame your sentiment on the first card. Your little nugget box is so cute. The Bubbles and Fizz DSP paired with this stamp is just perfect! That vibrant card though, just wow!!! Great looking projects! Love how you brought them all together and used so many fun products. These are so cute, Sarah! I love the little box. The Basket Weave folder is perfect for it! 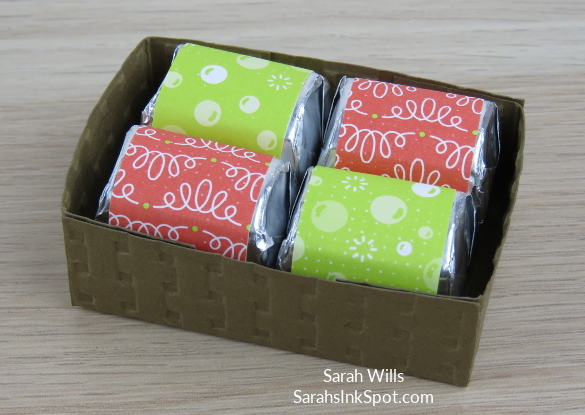 Aww, your treats are adorable – especially the basket weave nugget box! Love the color combination on the card, too! Sarah, these projects are just adorable. I especially love the basket of flowers card. So pretty! Adorable! Everyone of your projects are adorable! Love that little box! Wow! 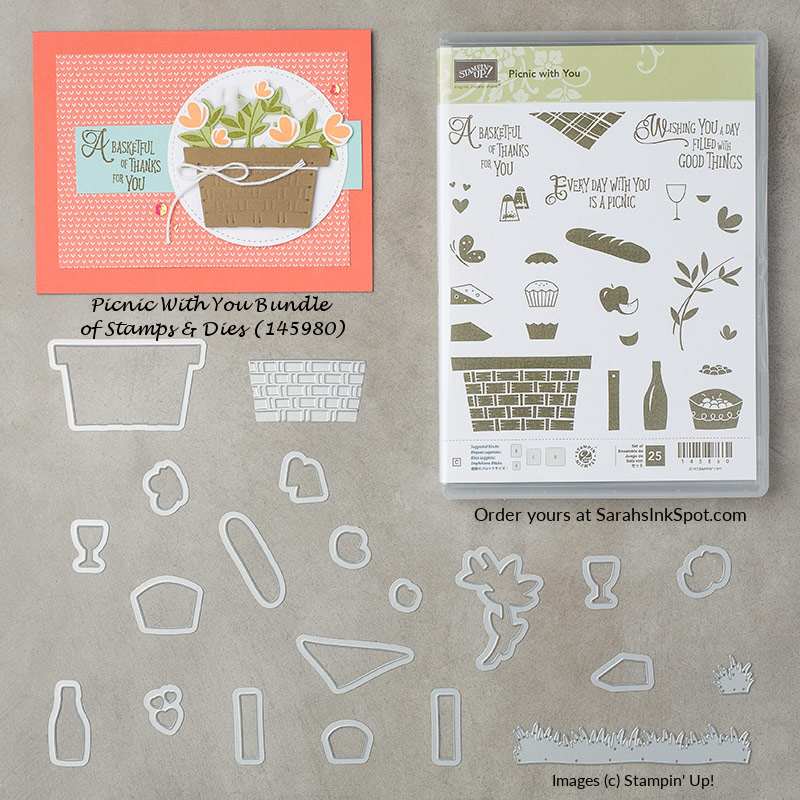 Such cute designs with this set, Sarah! I love your work! !